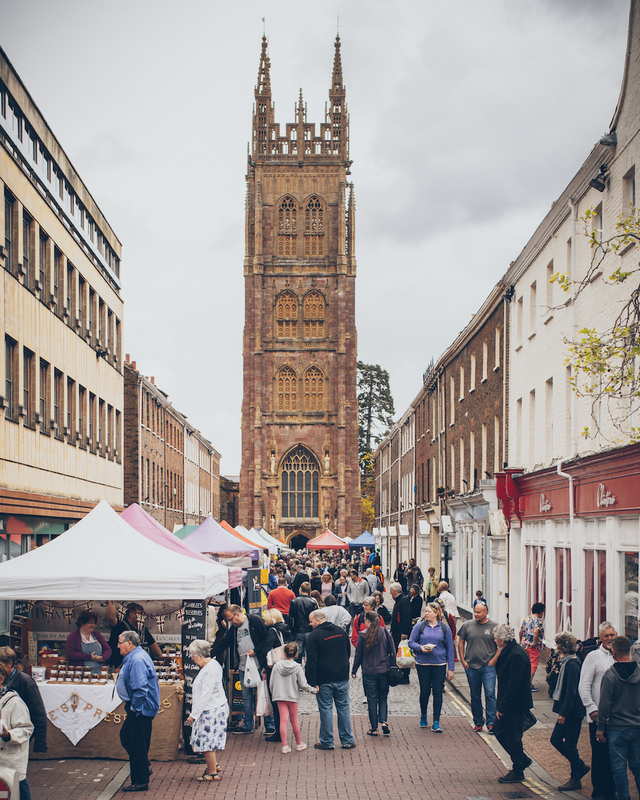 Somerset’s county town: Taunton is a busy town with a strong tradition of markets. This event is timed to coincide with Somerset Day #lovesomerset. We have street entertainment on the lawns surrounding the site. We will have around 90 local food and drink producers with us. In the church you will find our demo stage with chefs and cooks showcasing skills you can replicate at home – this year with a focus on family cooking. Outside on the lawns there is lots of space to relax and we will also have our DJ and the Cook School: all free to particpate in.